There’s no such thing as a common question, just ones I get asked often by very unique & awesome couples. Call, email or send-up smoke signals 🙂 However you choose to contact me, I’ll take it from there. We’ll go over the details of your wedding. To secure your date, a signed agreement & retainer is required. to be fair to everyone I can’t hold any dates without those two things. Why is a design consultation important? This is one of the most important steps to a great photography experience. I get to learn about you and listen to what you would love to do with your photos, what’s most important to you. We will walk through your home and discuss what image products might work for you where. I will most likely take a few photos of your walls to use later when designing custom wall displays for you. We’ll also go over any questions or concerns you might have and drink a little wine. No-pressure, it allows me to learn what to create for you before I ever click a shutter. Will we receive digital files and how many? Your photos will be available in a online client gallery full of your professionally-edited images to share with all your friends, including access to Facebook-shareable images, which are web resolution and watermarked to prevent image theft by third parties. These images may be shared online as long as the watermark remains intact. Web resolution images are not even close to printing quality. If you would like to have the ability to print your own images (which I totally understand), fully finished high-resolution digital files (with a print release) are available in some collections or via a al carte. The exact number of photos you’ll receive will vary. My style is photojournalistic, meaning that we go have fun, I create great images of you interacting and having a blast. I’ll setup posed photos when needed, but the best moments are real and that’s what I’m after. I take many photos during the day and afterwards I’ll select the very best to edit. These selected images are then crafted by hand to bring the image to its full potential. I shoot so that you will get high quality images that you can hang in your home with pride. Showcasing your relationships and love. 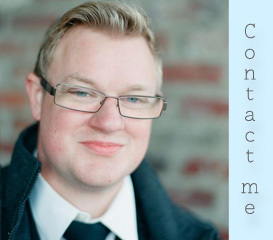 My clients commission me because they value the carefully crafted work I do and trust me to select & deliver on it. No matter how many images are created, my clients consistently seem to have 10 to 30 absolute “favorites” that they want to print and to display in their homes. Do you photograph non-wedding sessions? Do you travel for that? Yes! I enjoy capturing the relationships most important to you so much that I will hop on a plane to anywhere for the chance to give you timeless keepsakes. Contact me for availability. Yes, custom designed by me & handcrafted in the US // Guaranteed to make your friends jealous and your momma drool. My clients use them as heirlooms to pass down to their kids and grandkids. You can see what I mean here. Yes! Never had to use it (and hope never have to). Chances are I’m already on file with your chosen wedding venue. In case your equipment breaks on my wedding day? Yes. I wouldn’t dream of accepting a wedding commission without having all bases covered. This includes camera gear, cars & computers to edit on. Let’s grab a coffee or nice glass of wine and discuss the details of your wedding. I want to hear your story. 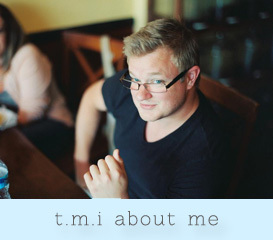 t.m.i about me? Sure, why not!